Ladies Eider Ski Trousers size 12 Pink. Condition is Used. Dispatched with Royal Mail 2nd Class. Inside leg 29 ins. Black Salopettes Ladies UK XL Waist 32-34in. Lovely salopettes with 3 pockets and side vents to cool down. For sale as bought them but they are the wrong size so better for someone else to enjoy them. Slim fit style with 2 front pockets and 2 back pockets. Photographs show the trousers on the outside and inside out. Fabulous trousers, worn once so still in excellent condition. LAST CHANCE TO BUY THIS ITEM WILL NOT BE RELISTED. 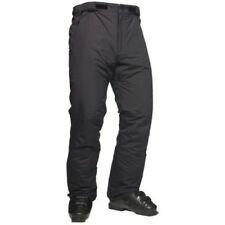 Great pair of ski trousers to use with fleece inner and zips at the bottom for easy wear over snow boots. Size 36 - would fit Size 8-10. Tresspass black salopettes age 9/10. Condition is Used. Dispatched with Royal Mail 1st Class. Good make, good quality. Zipped side pockets, Velcro back pocket. Excellent condition. 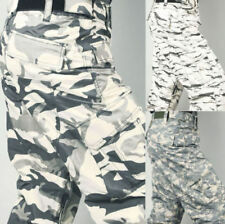 -Mens burton L snowboard pants. Condition is Used. -Great snowboard pants and have never let me down. -Signs of rubbing and wear in places but this doesn't effect the integrity of the pants. -Adjustable waist -breathable membrane -Zippable leg vents material: Outtershell- Polyester membrane- Nylon . Dispatched with Royal Mail 2nd Class. Walking Trousers Age 13-14. Condition is Used. Dispatched with Royal Mail 2nd Class. Used by my son for mountain climbing and hiking. For decathlon the sizing is small and I suggest age 13-14. Fully fleece lined and some stretch in fabric. Trousers cuffs have elastics red cuff with pull and boot clip. Machine washable good condition. On other sites ideal for scouts/ duke of Edinburgh or hobbies. 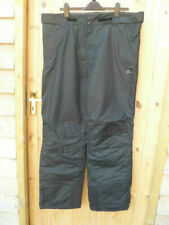 Eider Ladies Ski Trousers Size 12 Black. Condition is Used. Dispatched with Royal Mail 1st class. 29 ins inside leg. Mens DESCENTE Light Grey Trousers Size US 34/M. Slim fit style with 2 front pockets and 2 back pockets. Photographs show the trousers on the outside and inside out. 92% NYLON 8%. ELASTANE Fabulous trousers, worn once so still in excellent condition. An absolute bargain...... Apologies but I do not do returns or refunds so please email any questions prior to bidding thank you. UK BIDDERS ONLY UNLESS USING A U.K. BASED GLOBAL SHIPPING COMPANY. WOULD CONSIDER ENDING THE SALE EARLY FOR SENSIBLE OFFERS. LAST CHANCE TO BUY THIS ITEM WILL NOT BE RELISTED. Children's Trespass Ski Trousers Sallopettes age 3-4 Black. Dispatched with Royal Mail 2nd Class. Kids Salopettes Age 7-8. Condition is Used. Dispatched with Royal Mail 2nd Class. North Face Mens Ski Trouers Size 36 Black. Condition is Used. Fortes adjustable waist. 32 ins inside leg. Ski Trousers Boys Age 13 Campri. Condition is Used. Excellent Condition. Dispatched with Royal Mail 2nd Class. Salomon Grey Ski Trousers/Salopettes W34" L32"
Grab yourself a bargain with these Mountain Warehouse Ski insulated ski trousers for the next adventure you go on with your family or friends. Colour appears to be a grey/green tint. Machine washable. 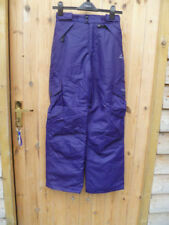 Ladies ski trousers size 10. Condition is Used. Dispatched with Royal Mail 2nd Class. With zip side pockets and zip up at ankle. Lined. very warm. Size UK 12 / US 8. 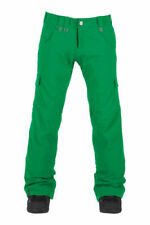 These trousers have the typically flattering Eider look, comfortable fit and great performance on the slopes. These trousers feature: Defender 2LS protection; two good sized zippered pockets to the front; adjustable waist tabs with velcro; front zip with snap button and hook closure; articulated knees; inner linings are soft and unmarked. The North Face Hyvent mens Ski Pants / Salopettes - medium. The North Face Hyvent mens Ski Pants / Salopettes - medium.. Condition is Used. As you can see only worn 3 times and dry cleaned. The pocket stitching has pulled away so needs to be restitched. Dispatched with Royal Mail 1st Class. Any questions then please get in contact. Ladies trespass TP 50 ski pants . Ladies trespass TP 50 ski pants .. size Xl , approximately 14, with adjustable waistband Excellent condition, only used a couple of times Condition is Used. Dispatched with Royal Mail 2nd Class. There is also an elasticated lining in the legs for added warmth and water proofing. H&M Salopettes Age 4-5. Condition is Used. Dispatched with Royal Mail 2nd Class. Girls Pink Surfanic Salopettes Age 7-8 (128cm). Worn on two ski holidays. Reasonable condition although there is a mark & a small tear to the bottom of the right hand leg. Latter could be patched quite easily, little point me doing it as they won’t fit my daughter next year. Snow Angel Padded Waterproof Trousers With Braces Age 4-5. Condition is Used. Dispatched with Royal Mail 2nd Class. Prologic Max5 Thermo Armour Pro fishing salopettes. Perfect for fishing or shooting. MINT CONDITION, GENUIENLY USED ONCE ! Grab yourself a bargain with these O'Neill explore series Ski trousers for the next adventure you go on with your family or friends. Machine washable. Inside Leg 29". Colour : Black. Black Ski Trousers. With a front zip and double popper fastening. Size Large. Womens DLX Ski Trousers By Trespass Size 14. ORIGINALLY PAID £60.00, this season. Condition is Used. Only worn on two occasions. Dispatched with Royal Mail 2nd Class. tog 24 ski jacket and matching ski trousers Age 13 . Condition is New with tags. Dispatched with Royal Mail 2nd Class. Condition is Used (although only worn twice so they are in very good condition). MENS GORE TEX PRIMALOFT LEATHER PALM SKI GLOVES SIZE MEDIUM. VERY WARM AND COMFORTABLE GREAT FOR KEEPING YOUR HANDS DRY,,,GOGGLE WIPES ON THUMBS.USED BUT WELL LOOKED AFTER,,,BARGAIN,,THANKS.